It’s a fast-paced world out there for marketers, things are changing seemingly moment to moment and it’s hard to keep up with the changing times. Sometimes it’s as easy as changing a process, others it’s a total revamp and can cause major setbacks. 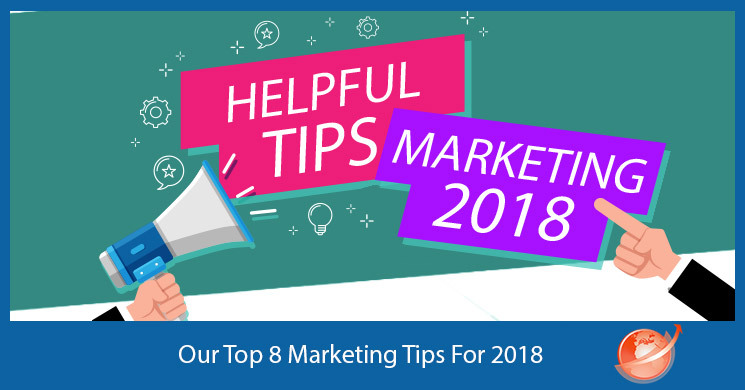 We’re bringing you the best tips for marketing in 2018! Artificial Intelligence is all the rage out there, and if you’re not using it you’ll find yourself outpaced rather quickly. 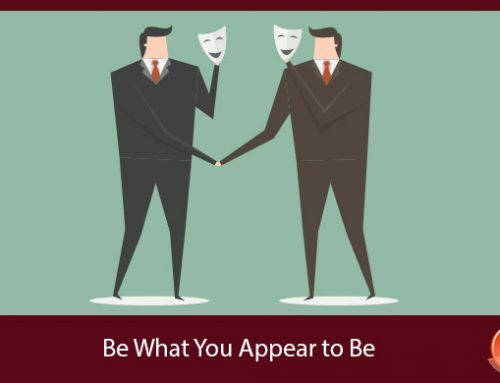 This may be one of the biggest tips in terms of this year specifically that has drastically changed the landscape of marketing and how EVERYONE is doing business. Whether you incorporate something like a chatbot or develop a program to help prospective clients ‘try on’ or ‘try out’ what you’re offering, you can use AI in your daily business. There are plenty of sites that offer helpers for your business’ daily activities – if you are doing a task, check to see if there is a tool that can help you do it more effectively. These days, nearly every job there is can be replaced by automation to some degree. Use as many visuals as possible. Take into consideration the fact that Pinterest stands to be the world’s biggest advertiser and most successful at it as well, and you’ll soon see why this is so important. People love GIFs and quick video clips, photos that are stunning or amusing, and they’re willing to share these more than any other type of post or offering. The kicker here is the fact that none of these things require more time than writing a great blog post or white paper, but they perform better every time. If you invest half your time into creative VISUAL endeavors that your audience will eat up, you’ll be catering to today’s world of 2018 in a way the written word can no longer do as well. 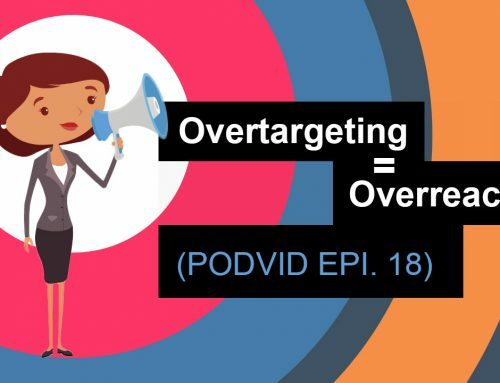 One of the biggest issues marketers have is the tendency to follow the latest shiny thing, and leave the last thing to capture their attention by the wayside. When this happens enough times, projects are left unfinished, midway through and things stagnate. Eventually, more money gets spent trying to make money than actually seeing projects through to the end because focus gets lost along the way. One of the best ways to stay focused is to keep yourself organized. Not everyone is as good at this as others are, so if you’re prone to having a messy, cluttered workspace, it might do you some good to contact a professional organizer – they do exist! 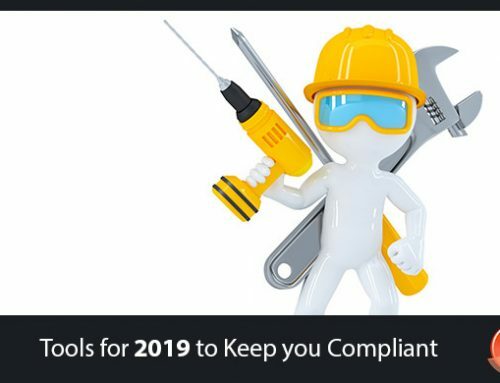 They’ll help you develop a system that works with how you operate on a daily basis while keeping your workspace as clean and orderly as possible. Make sure your projects are written on a calendar or whiteboard with due dates and progress checks to keep yourself to a schedule. Don’t be afraid to try new things. 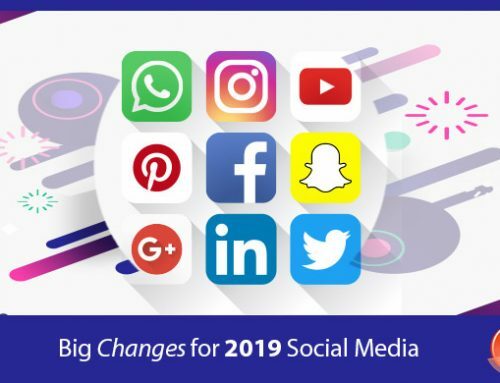 2018 has been quite the year for changes across the board with marketing, from GDPR to the mess with Facebook – marketers have been hopping busy. The world is always going to change, and it’s always going to be hard to stay cutting-edge because of this. Whenever the chance to broaden yourself arises through knowledge or innovation you’ve heard of, position yourself to use it or try it first whenever possible. Many of the giants today were simply in the right place at the right time, and they didn’t start out much differently than you did. One of the biggest challenges any marketer faces is not giving up too soon. Being your own boss, or even keeping going with a project that never seems to end, or is full of issues… these things are frustrating and difficult to manage. Then there are the failed launches, or not getting enough engagement, and forever wondering where or how you went wrong when you followed all the right tips and advice and worked your tail off. We get it, we really do because we’ve been there. There will be successes along with the failures as long as you remember to learn from the failures and to allow those things to become an agent for growth instead of becoming bitter. Trust is hard won, it’s something we fight for on a daily basis as marketers. 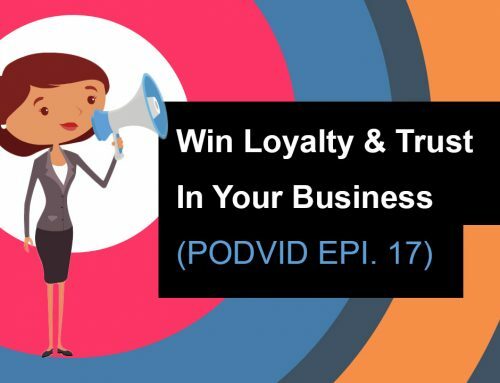 It’s not something our clients give us right away and is the golden egg everyone searches for because trust is loyalty. The subject of trust is a big one though because it’s not just about winning the trust of your prospects, it’s also about giving trust to others on your team. Nobody can do it alone, even if some outsource parts of the work. Without accepting that others can and do help by giving their own perspective and expertise, and trusting them to handle part of a project – you’ll end up burning yourself out at both ends trying to do too much on your own. When you’re first wooing a client, you want to make them happy so you promise them the moon and the stars, so the client begins to expect the moon and stars for all time, because that is how the stage was set to begin with. Be careful not to sell yourself short by giving away your services for less than they are worth. Times change, there are things like inflation, overhead and other costs that clients are expected to help cover costs of when doing business, and if your costs go up – those need to be transmitted to the client as well. Don’t get into a situation where you allow someone an introductory price for a lifetime unless you’re willing to keep losing money year after year for actual hours worked. If the worry is that the client will go elsewhere, be sure you’re still undercutting your closest competitor and then don’t worry about it – because if they’re happy with your services they’ll pay for them, and realize that if they want to go elsewhere they’ll pay more or get terrible service and will come back anyway.